Save the date! 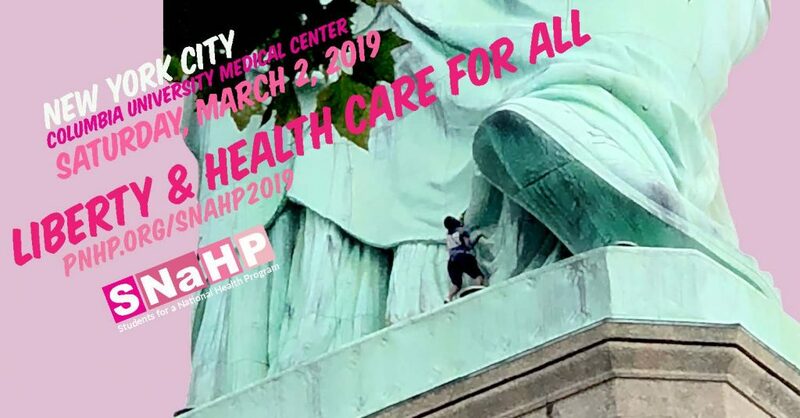 The 8th annual SNaHP Summit will take place on Saturday, March 2, 2019, from 9:00am to 7:00pm at the Roy and Diana Vagelos Education Center (VEC) at Columbia University Medical Center (CUMC) in New York City. By attending, you can expect to learn what a national health program would look like in the U.S. and develop vital advocacy skills geared toward health professional students. Participants will also contribute directly to the national strategy of SNaHP through networking and breakout sessions. Click here to apply for a scholarship (applications due Jan. 13, 2019) and click here to register for the Summit. Student housing is at Hosteling International, New York — please be aware that hostel space is given on a first-come, first-served basis. Registration includes breakfast and lunch.